Add a touch of glamour to your wardrobe with Murek’s twinset, comprising a print chiffon jacket and coordinating top with crystal embellishment. 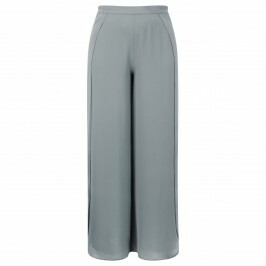 Team with Murek’s gorgeous dove grey palazzo trousers for an elegant ensemble perfect for a glamorous cruise or smart evening events. Print chiffon, embellished twin set. 100% Polyester. Hand Wash.